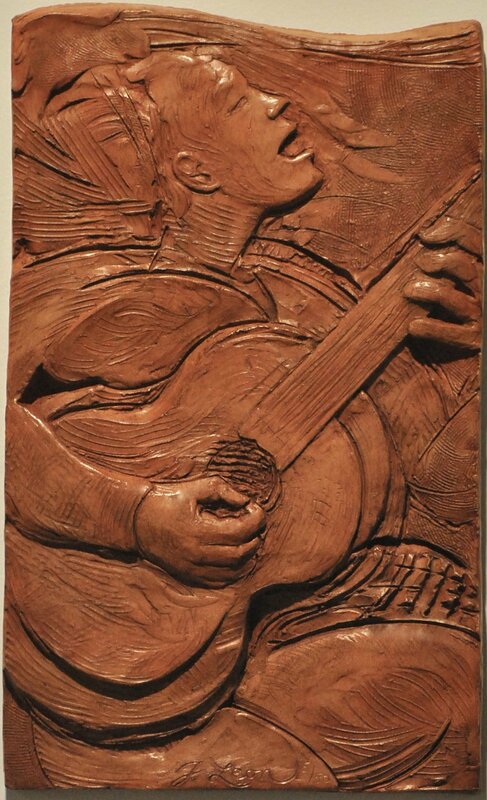 This is one of several pieces depicting the energy of a guitarist's performance,but I add the act of singing to the composition. I was thinking of the music being created as coming from within the universe and being dispelled out into the universe. The guitarist and his instrument are the portal or pivot point connecting the outwardly infinite to the inwardly infinite. 13 x 8 x 1.5 inches.